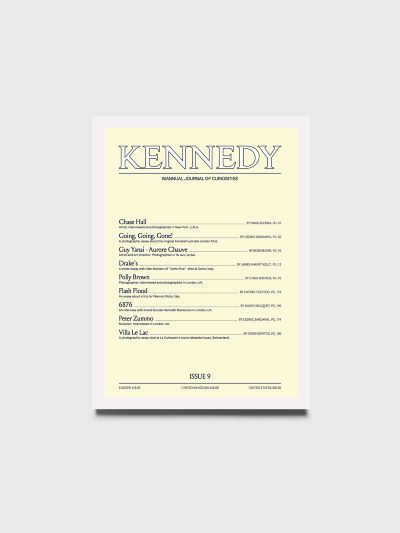 Issue 9 of Kennedy magazine. Features Chase Hall, Guy Yanai, Aurore Chauve, Polly Brown, Flash Flood, Kenneth Mackenzie, Peter Zummo and more. Measures 16,2 x 21,3 centimeters.